Visit the best East London breweries and taprooms on this monthly tour. Come on a guided tasting tour of some of East London visit brew pubs, bottle shops and breweries on this monthly craft beer tour. ​Enjoy cheeses and beer tasting at the White Hart Brew Pub. Discover great tasting local beer at Mother Kelly's. 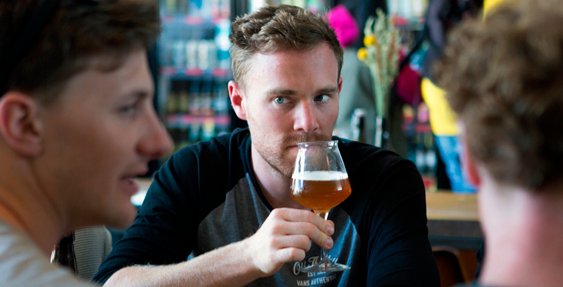 Enjoy a tour at tasting at Old Street Brewery. Tours take place on Saturdays. All tastings included. You can find available dates at the above link and book in extra guests if required. Please note that we don't take bookings over the phone. It's highly recommended to book a few months in advance as our tours often get fully booked quickly. Vouchers valid for 12 months. Venues subject to change. Must be exchanged in advance for a ticket. This voucher features a unique reference code, which must be quoted at the time of booking and redemption. This voucher is transferable to another voucher listed on the UK Brewery Tours voucher website at the same value or less. It cannot be exchanged for cash. No credit remains on vouchers redeemed at lower value. Photocopies will not be accepted and all bookings must be made in advance. You cannot turn up on the day unless you are booked in. Please exchange your voucher first. Venues subject to change. Over 18s only. Valid ID required. Terms may be updated anytime and apply retrospectively.